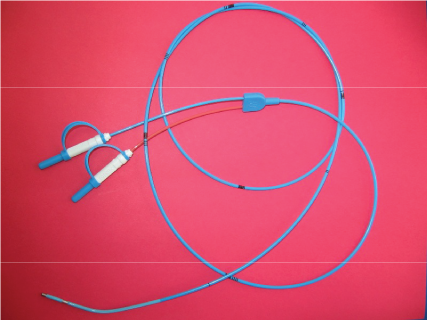 The Electrode Catheter is designed for temporary transmission of Electrical impulses for the purpose of endocardial recording or stimulation. The Electrode Catheter is designed for temporary transmission of Electrical impulses for the purpose of endocardial recording or stimulation. The catheter consists of a radiopaque polyurethane tubing with two lumens which encapsulates a braided wire core for optimum torque. The catheter has stainless steel electrodes. Electrodes terminate proximally with 2 cm pin connectors. The product shall be supplied in a unit package, sterile, and pyrogen free. It shall consist of thermo-formed tray designed to retain the catheter while maintaining a radius at the tip.